Matt Lucas was born in Memphis but it wasn't until the 50s that he returned to claim his birthright. His childhood was spent in Poplar Bluff, Missouri after being adopted as a baby. Growing up was a rocky experience for young Lucas. Stumbling onto the fact that he was adopted turned his world upside down. He began a series of rebellious activities that increased in seriousness until he landed in a reform school at the age of 14. This was to be the beginning of Matt's blues. 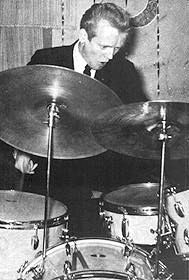 Matt Lucas began his music life very early playing drums in the jook joints and road houses around his Missouri home. After stints in St. Louis, LA and Chicago Matt moved back to the midsouth again. He began doing session work with Narvel Felts and it was during this time that Matt Lucas recorded his first hit record "I'm Movin On" later to be picked up and released by Smash Records. Other hits followed "Ooby Dooby", "Maybelline" and "Moter City Twine". Lucas left the south for Detroit where he worked with such acts as The Supremes and Stevie Wonder. By this time he had recorded and had hits in the Rockabilly, Blues and R&B genres. After his stint in Detroit the moving bug got Matt again and he headed north to Canada. In Canada he began a new career with the help of Ronnie Hawkins. 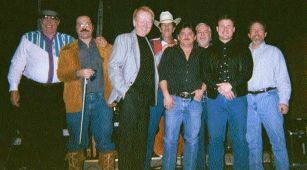 With Hawkins' help he put together a new band and subsequently had three hits on Kanata Records. From there he moved to the Virgin Islands where he began performing on cruise ships in the Caribbean. Matt finally returned to the states and settled in Florida where he resides with wife Barbara and continues to perform the music he loves. 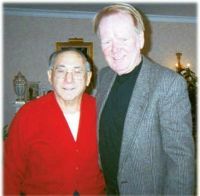 Matt and long time friend Harold Kudlets. According to Matt, Kudlets brought RocknRoll to Canada. Birthday Little Girl/The NutHouse/ Men's Liberation Blues/New Orleans Woman/Mr. Congo - CS 1935 - "THE CHICAGO SESSION - 1983"